Next year will see the NFL celebrate its 100th season with a year-long series of events as well as a special logo to be featured on game balls and jerseys. The historic celebration will salute the sport's fans, highlight the game's unifying impact on communities and bring together past generations of NFL heroes while looking ahead to the league's future. A special "NFL 100" logo will feature the league's regular shield crest beside a large blue 100 with red and white motion streaks behind a blue football. It will be featured on fields in stadiums and in NFL Network programs during the 2019 100th season celebrations. 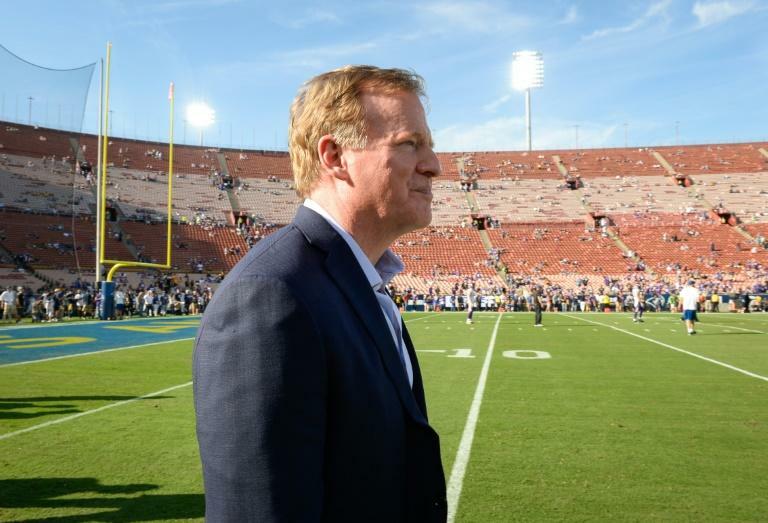 "For nearly 100 years, the NFL has been part of the fabric of America, unifying communities and bringing fans together to support their favorite teams and players," NFL Commissioner Roger Goodell said. "Next year, we will join our fans in celebrating what this incredible game means to each of us." The "NFL 100" campaign will kick off at Super Bowl 53 in Atlanta and continue at the NFL Draft in Nashville, Tennessee, and enshrinement ceremonies at the American Football Hall of Fame in Canton, Ohio. The celebration intensifies ahead of the 2019 season kickoff next September and extends through the season before Super Bowl 54 in 2020 at Miami. Fan festivals will be staged in the NFL cities while the league will produce television shows to celebrate 100 seasons. A panel of former NFL players, coaches, general managers, historians and media will select an All-Time Team as well as the 10 greatest coaches in NFL history.